Ben Affleck is not only famous for being a brilliant actor, and superbly playing and online poker site owner in the recent film Runner, Runner, he has also always been a bit of a card sharp. In 2004 Affleck was credited with winning California State Poker Championship, and he, and cousin – Matt Damon – host a celebrity poker challenge to raise money for an African Charity. But poker is not the only game that this actor is accredited at being a really good player. Last week he was allegedly banned from the Hard Rock Casino in Las Vegas, for simply being too good. At the time he was playing blackjack – where else – but at a high rollers table, when security believes they caught him counting the cards. Counting cards while not technically illegal, is frowned up as bad etiquette in all land based casinos. This is the act of knowing the cards so well that the counter is able to predict what the probability of the next hand will be. It is quite a feat in itself, in terms of the intelligence factor required. Apparently he was told by security that he is “too good at the game,” but this is not new news to Las Vegas casinos. He is a regular high roller at many casinos, and makes many visits to these venues, often winning money in the millions. In fact in two separate visits to the Hard Rock, he walked away after winning nearly $1 million whilst also playing blackjack. The New York Post recently reported that Affleck had won $140,000.00 in a single session, and that he was playing with Matt Damon at the time. It is also reported that he also used his winning to tip casino staff. In fact the totality of his Hard Rock winnings was given away in tips to waitresses, doormen and dealers, some of these tips were as much as $5000.00. We’ll bet that kind of action did not stand very well with management. A short time later it was reported that he won $800,000 while playing blackjack again. In fact during three simultaneous hands! Hisprodigious poker playing proclivity is well-known, and as well as plying with Matt Damon, he hostson the felt at a Beverly Hills cigar bar, playing with Tobey Maguire and Leonardo DiCaprio. Both of whom appear to have a penchant for the game. There is a race on for online gambling brands to win investor confidence prior to Point of Consumption (PoC) tax being introduced into the UK. To qualify our opening sentence perhaps it is necessary to understand a little more about what PoC tax means to UK online gambling operations. Fundamentally, Internet Gaming operators have been able to avoid British taxation for the past 15 years or so, since the industry first kicked off online. This type of "legal" tax evasion has been enabled by the fact that offshore territories have welcomed the industry with open arms, and enticed them with far lower tax rates. The UK levies 15% on gambling activities, compared with Gibraltar which levies only 1% of relevant income. One percent as opposed to fifteen percent, makes a massive difference to any corporations bottom line. The concern regarding PoC is from investors who are genuinely worried what it may entail for public companies. Companies such as 888 which are listed on the London Stock exchange. Already when fixed-odds terminal betting increased from 20% to 25%, we saw panic set in, where some online gambling stock prices plummeted. But because 888 have shown such good profits in the lead up to implementation of PoC, shareholder skittishness should not be of such great concern. Currently this online gambling company is not the only concern in the industry that is concentrating efforts to win investor confidence, as well as new customers. However, 888 has reported a whopping 30% increase in pre-tax profits, as well as an increase of 7% in revenues for the same period in the last tax year. They have declared dividends, and paid out an additional “special” dividend, and this act in itself will shore up shareholder confidence. 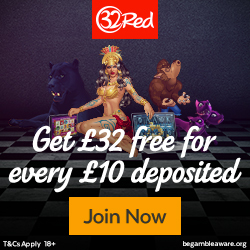 Of course an online gambling concern does have to make money in order to dish it out to shareholders, and it seems that 888 have hit the jackpot in this regard. They have seen more interest from consumer of their bingo product, and virtually every internet gambling firm is seeing massive profit jumps in mobile sports betting. The date set for implementation of PoC tax is December 2014, when if it gets off the ground on time, will be bound to cause some major regulatory upheaval. Essentially it means that an additional 15% in tax will be levied on any revenue generated from members situate in the UK. It pays to bear in mind that millions of British online gambling fans play at hundreds of offshore websites. The UK Government is about to make big changes in the lives of online gambling firms, but it is not only about poker, bingo, and casino websites; it affects sports-betting products too. Not only are Tax rules set to change, but advertising rules and regulations are also about to take a knock. Sports-betting online is one of the largest spend sectors of this industry, in a growth spurt that is being fuelled even more by the popularity of mobile gambling. The impending UK Gambling Bill promises to have a substantial impact on sport sponsorships income too. This will affect football, rugby, and other sporting clubs/sectors that rely heavily on sponsorship income. Many of these sponsorships emanate from the shores of Asia. It takes a great many specialists to keep the public interested in sports betting. This means getting the message across that these betting services are available online. It is advertising and the media that drive the gambling fan through these virtual doors, and these are expert services which cost a great deal of money. Budgets have become huge, and a great deal of money is being shared around. Because much of this money is derived from Asian gaming firms, we find as many as fifteen out of twenty Premier League football clubs that enjoy Asian gambling firm sponsorship. The intent of the Gambling (Licensing and Advertising) Bill is to remove this source of income. Here we are not talking about change in controls, but the simple fact that sponsorship money will simply "disappear". The people who are set to take the biggest knock, are sports teams, and individual players themselves! These new regulations are designed with the aim of creating "economic hardship" for Asian ops. In the future they will be required to prove to the Gambling Commission where they obtain their income, amongst other things. The other things also include proof of the fact of their entitlement to take bets from British jurisdictions. This type of “reporting” will mean exposing these operations to additional admin costs. The question is, will it be worthwhile for them? A number of Asian online gambling firms are licensed in (pseudo) British offshore jurisdictions. Cost effectiveness will obviously be examined before pulling out of any British market-place, however the feeling is that sponsorships will be the first expense to get cut, and sports support to suffer as a knock-on effect. Gibraltar has become one of the favourite destinations for some of the biggest and best British online gambling ops. They run operations offshore from this site, simply due to the fact that British taxes would otherwise cripple their businesses. Well… the word "cripple" might be a little harsh, but operating in the UK would certainly take a large slice off their bottom line. So, companies that are recognised as best of breed brands, operate in offshore territories such as Gibraltar, Malta, Alderney, Isle of Mann and so on. One of the busiest weekends for these gambling giants is the Easter Bank Holiday weekend; where companies such as William Hill, and Ladbrokes make a killing. They run all kinds of superb promotions to keep their members playing online and winning. An explosion and fire at a Gibraltar power station which blacked out much of the British outpost also caused major worldwide disruption to the online betting industry, with gambling giants Betfred, William Hill, and Ladbrokes among the operators taken offline. This Easter Sunday was not great for fans of these websites however, as a power station generator exploded, but at least no one was harmed. Although a few bingo balances might have taken a knock. Residents of the small British-held peninsula which is situated on the southern tip of Spain experienced, thick billowing smoke, and were warned to keep windows closed. Many of these residents are also employees at online gambling firms. Gibtelecom services came down like a house of cards, and gambling firms struggled for some time to resume normal operations. There are Twenty-six gaming operators in total that do business from these shores. The industry has changed Gibraltan fortunes quite significantly, and it is estimated that 60% of all Internet gambling transactions flow through these virtual casino doors. However things could be changing dramatically quite soon. The British Government is enacting new taxation regulations that encompass taxing any firms that offer gambling services to British residents. The Government of Gibraltar has made their feelings known, as this industry is not a standalone business; it attracts an entire ecosystem of industry players which contributes massively to this small economy. They are in the business of creating magic for millions of online gambling fans, and new tax laws, rules, and regulations will have a substantial impact on how things have been run for the past fifteen years.